I was promised pirates and adventure. I got a dull protagonist, insta-love Romeo, and a whiny sidekick. My biggest beef with this story is that it doesn’t feel YA. It reads like a MG. The setting and the characters lack depth. From the world building, the characters, characters’ emotions and personality – the world and the characters felt cookie-cutter to the extreme. The setting – ancient Greece – feels nonexistent, like this story could have taken place anywhere in the world without it effecting the story. We spend the first several chapters going over the same information to different characters (a peeve of mine) and then we all jump on the “save the gold for daddy” boat because that’s the plot. No really – Kora doesn’t talk to her father, yet she’s determined to save him? Her motivation for the entire plot felt so weak-sauce. I had no motivation to read further into this book. I wanted to like it, but I just… didn’t. Nothing about it jumped out, begging to to finish. I had no desire to find out what happens to Kora or her insta-love, or her whiny best friend. There was nothing to draw my attention, and I have too many other books awaiting on my “to read” list that look so much more interesting. Now, the writing wasn’t bad. The writing itself was good – but it wasn’t as a “YA” level. It read like MG, yet Kora was supposed to be like 17 – she acted like a little kid. Overly innocent and naive, and everyone else was so… innocent. Every the “pirates.” It just left so much to be desired. After reading amazing books like Six of Crows and The Cruel King, my expectations have been raised. I expect more out of the writing, the plot, and the characters. I expect intelligence and surprises. 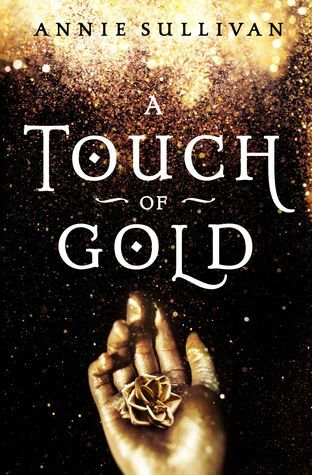 So, overall, A Touch of Gold gets a 3 out of 5, because it’s okay. It’s not great. It’s okay. I would have liked it better if I was 13. Next ›Oh, Did I Write That?